Nice ranch home on north end, convenient to almost everything. Sits on 2 level lots, with 2 car detached garage. Screened in porch at rear off of kitchen/basement. Very big kitchen and formal dining area. Nice size master & 2 bedrooms. The washer and dryer were brought up from basement and is located in first bedroom. Bathroom remodeled and shower/bathtub replaced with bath fitter surround. Very nice. Extra large yard for playing or gardening. 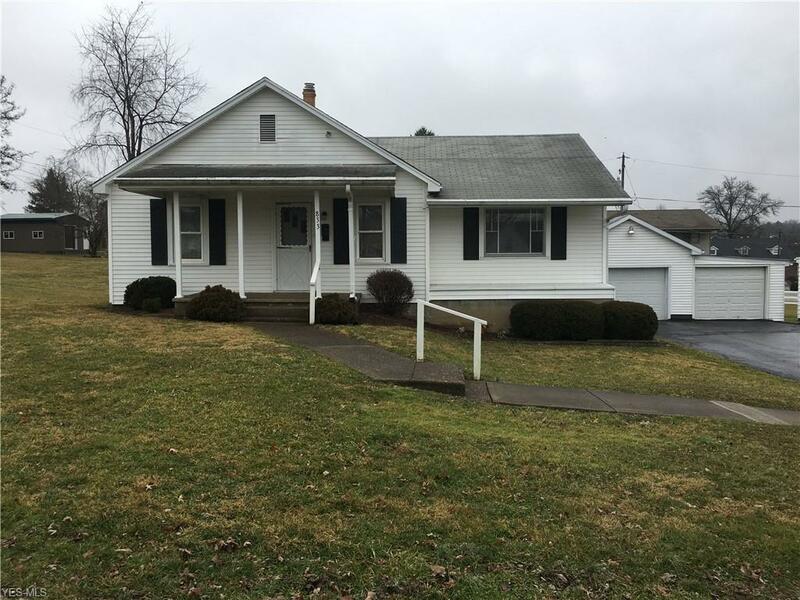 Relax on screened porch with your morning coffee (it's Ohio...just around the corner.....spring) 2 car detached garage with electric and openers.